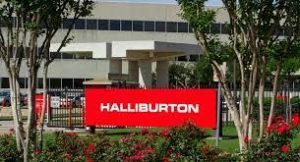 An 18-cent-per-share dividend has been declared by Halliburton Company. The board of directors declared the dividend for the 2019 first quarter and stated it will be payable on March 27, 2019 to shareholders of record at the close of business on March 6, 2019. 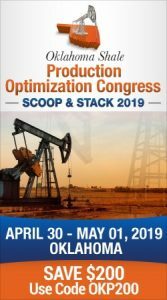 The company’s annual meeting of shareholders will take place on May 15, 2019, in Houston, Texas. The record date for determination of shareholders entitled to vote at the meeting is March 18, 2019. Halliburton, founded in Oklahoma is celebrating its 100th anniversary this year. The company, once headquartered in Duncan, Oklahoma but now with headquarters in Houston has 60,000 employees in more than 80 countries.